Whatever your occupation, you expect to be treated with respect and professionalism while you are at work. You assume that your manager or boss will maintain a safe workplace, reward you appropriately for your labor, and recognize you for your skills. Employees who feel comfortable and valued often enjoy their jobs, and keeping workers happy has a notable payoff for companies, too. People tend to work harder when they feel appreciated. Altogether, it’s good for workers and business owners alike when companies treat their employees fairly. Unfortunately, far too many employers neglect their duties to their employees by fostering unsafe or hostile work environments. Sometimes managers condone or encourage discrimination. Workers find themselves subject to harassment, passed over for promotions, or denied raises because of their identity. Employers can also mistreat workers by wrongfully terminating their job or withholding wages. Thanks to widespread employment injustice, a lot of Texans every day dread going to work. It’s important to keep in mind that these workplace conditions are not simply tragic—they are illegal. Federal and state laws forbid harassment, discrimination, retaliation, and a host of other toxic employer behaviors. As an employee, you are legally entitled to a safe, fair work environment. If you are one of the many Texas workers affected by unfair employer practices, you may be able to claim financial compensation. The Austin employment attorneys at The Melton Law Firm can help you fight to get the justice you deserve and the monetary recompense you need by holding your employer responsible for their unlawful behavior. At The Melton Law Firm, our lawyers have substantial, in-depth experience helping workers who have suffered any type of workers’ rights violation get the justice, closure, and fair treatment they deserve. Tell us about your situation and find out how we can help you pursue action against those responsible for the mistreatment by calling (512) 330-0017 today. Texas laws and federal regulations specify that employers have a wide range of obligations towards their employees. They are required to prevent workplace discrimination stemming from identity categories such as age, national origin, gender, sexuality, race, and others. They must protect their employees from all forms of sexual harassment. Additionally, they treat their workers fairly and ethically by providing work wages in a timely manner. Employers that fail in these obligations can be held legally accountable for creating an unacceptable work environment. When you are dealing with these and other employment law issues, it is often critical to enlist the support of a qualified attorney to get the outcome that you want and need. Whether you have suffered injuries because of another party’s wrongdoing, or you have been subjected to unfair or illegal treatment at your place of employment, we are here to help. Contact the The Melton Law Firm today at (512) 330-0017 to discuss your case. These numbers suggest that far too many managers and business owners are shirking their legal duty to create safe, respectful work environments. If you have been subjected to unfair treatment, workplace harassment, or dangers on the job, you may be entitled to a variety of protections and benefits, including financial compensation. Folks employed in Texas tend to assume that they can be fired, demoted, or otherwise punished for any reason since they work in an “employment-at-will” state. Employment-at-will basically means that your employer can freely alter the terms of your employment at any time for any reason unless restricted by an employment contract. Consider a boss who decides to fire someone without warning and with no apparent cause. That’s technically legal under employment-at-will regulations. If you have been fired for any of these reasons, you may have been wrongfully terminated. Imagine that you work on a sales team in a large corporation. At work one day, you notice a colleague harassing another coworker, making clearly discriminatory remarks. You are concerned, so you report the incident to the leader of your sales team. After several weeks, it’s clear that no action has been taken, so you bring up the incident again. Your sales team leader responds by ignoring your concerns and reassigning you to a different sales division. In the new division, you are unlikely to make as much money or have as many opportunities for advancement. In this situation, could your employer be held legally accountable for reassigning you even though you did not experience discrimination yourself? Based on laws protecting employees from retaliation, yes. A skilled employment lawyer would be able to investigate your reassignment, building an argument that you were unjustly punished for making a complaint about discrimination and reporting illegal violations. When you have been subjected to mistreatment at work, it’s normal to have a lot of concerns. For your reference, we have compiled a short list of some common question we hear from our clients. If you have any specific questions concerning your unique situation, feel free to call us at (512) 330-0017. A knowledgeable legal professional can give you answers, let you know more about your employee rights, and tell you about our specific services so that you have all the information you need to move forward. The courts can award compensatory damages to cover a wide range of costs relating to your situation. You might also be the recipient of punitive damages—the fines used by the courts to dissuade an employer from violating employee rights in the future. Workers who have been wronged on the job pursue legal suits against their employers for a variety of reasons. Some are driven by a need for justice. If your boss or manager has condoned workplace discrimination, they are not simply making your job unbearable—they have enabled a human rights violation. The courts can put a stop to that kind of behavior, ensuring that you receive justice and that other workers will be protected in the future. Other wronged employees seek compensation to cover financial problems. If your boss unfairly withholds your wages or denies you your rightful benefits, you may be forced into debt. You might have to default on your mortgage or miss a crucial bill payment. Receiving financial compensation from the law can help you deal with the costs that often accompany employment issues. Why should I choose The Melton Law Firm? Federal and state laws concerning employee rights and employer obligations can be difficult to navigate. If you are a Texas resident who has been mistreated by your employer, you need a tough legal practitioner well-versed in employment law. That’s why our firm offers the services of John F. Melton, a highly skilled attorney who has been Board Certified in Labor and Employment Law in Texas since 2008. Melton’s various awards and honors attest to the sincere dedication to client satisfaction. He has been named a Super Lawyer every year since 2011, and he is a Fellow Member of the Texas Bar Foundation. Our legal team’s extensive experience has equipped us with the skills and knowledge needed to take on the most complex, nuanced cases. 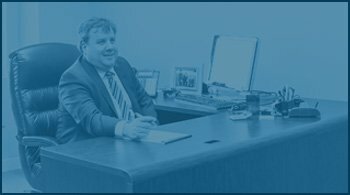 Attorney John F. Melton has built a reputation as a trusted and effective Austin employment lawyer. There is a reason why so many individuals in Austin have trusted their cases to John, and his satisfied clients will tell you that he will aggressively fight on your behalf, no matter the size or influence of your employer. All too often, individuals are afraid to take on their employer, even when it is clear that they have been wronged. This fear often comes from concerns about retaliation, the stigma of “whistleblowing”, or simply the concern that you may not be able to prevail against the company’s retained attorneys. John Melton has successfully helped his clients win harassment, discrimination, overtime, and countless other types of claims, against the largest employers in Austin. John Melton believes that employees should be treated fairly and according to the law. If an employer fails to meet these expectations and requirements, they should be held accountable for their actions. He believes that individuals should not be afraid to stand up for unfair treatment in the workplace, and he will fight tenaciously on behalf of his clients. We know that your job is important to you, and a hostile or unequal workplace can place unnecessary stress on your life. If you lost your job through unfair or illegal practices on the part of your employer, you may be able to take action to hold them accountable. An experienced Austin employment attorney like John Melton can help investigate the details of your claim, will put together a strong case, and will stand beside you every step of the way until your case is resolved. Find out why others have trusted their Austin employment cases to John Melton and why you should too. If you suspect that you have been mistreated or abused by your employer, you should seek immediate legal counsel. Typically, you only have 180 days to file a discrimination complaint, so the sooner you speak with a dedicated employment lawyer, the better. An employment law attorney can help you analyze the specifics of your case for any signs of employer wrongdoing. Employers have a serious responsibility to keep their workers shielded from harassment, discrimination, and unfair treatment. When they fail in these obligations, they can be held legally accountable. At The Melton Law Firm, our skilled employment lawyers are proud to represent Texas workers. Call us today at (512) 330-0017 to find out exactly how we can help protect your rights and safeguard your future.